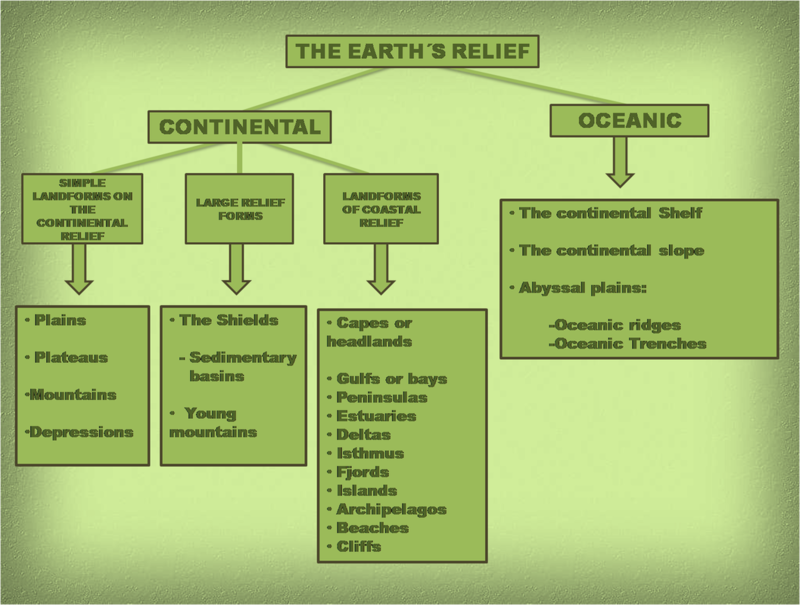 Here you have the slide about continental relief. 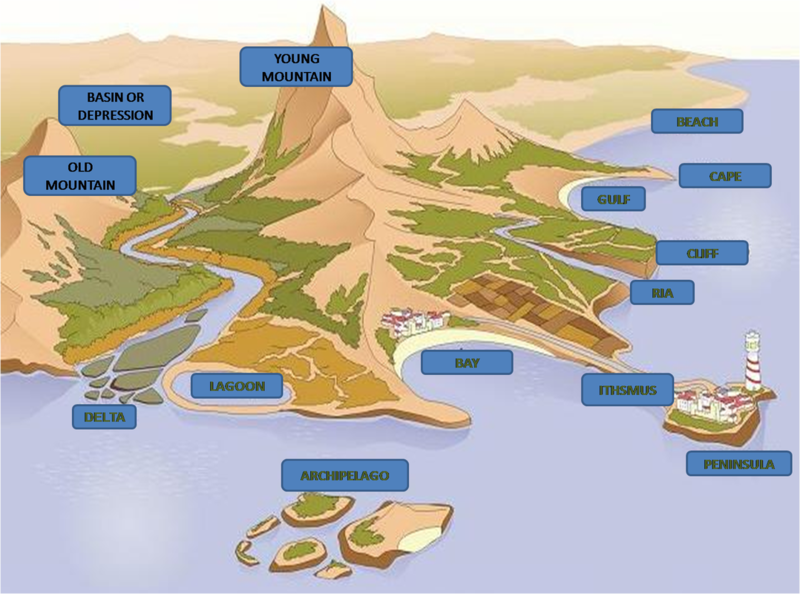 Complet your outline in your notebook and try to add some pictures or drawings that explain them. And this is the key to correct the wordsheet I have given you. Remember that you have to glue it to your notebook. 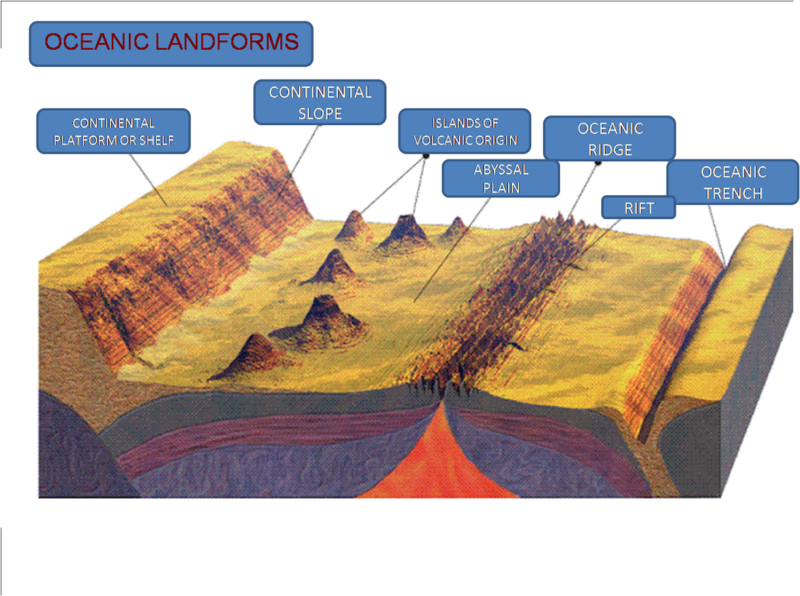 This is the diagram corresponding to the Oceanic Landforms. Make sure you have all the features in the yours.